← What’s the CIA and the JCOS Telling the President? 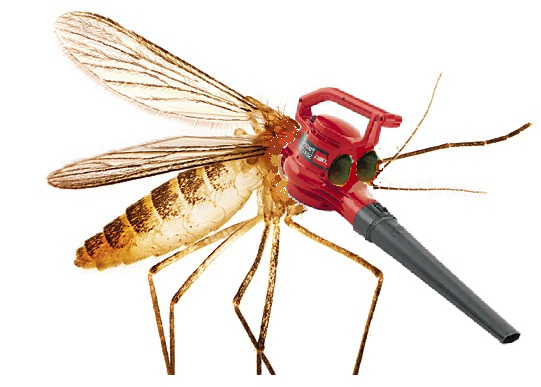 The sound of mosquitoes the size of Piper Cubs is whining through my window screens. The leaf blowers are out in force. Our neighbor is a wonderful guy. We’re lucky to have someone so conscientious and fastidious next door. The dark side: leaf blowing the public gravel path behind our houses, every Saturday, like clockwork. Our biweekly gardener uses a leaf blower, too. We’ve tried to negotiate rakes for increased pay, but he’s not interested. It makes me very uneasy to pay people to use leaf blowers. The issue from the gardener’s POV, of course, is economics. He doesn’t want to change his routine, because it’d be inefficient. He’d be at a competitive disadvantage. The guy is just trying to make a living. And me? I could do my own yardwork, but I still have a demanding day job, so am happy to have him do it. At least the neighbor’s and the gardener’s leaf blowers are electric. I could rationalize that makes them okay (aside from that infernal drone) because our power is more than 50% renewable in the county where I live, and my service, by contract, is notionally 100% green. But that doesn’t get me far. They’re still drawing from the physical power pool, which has plenty of fossil power in it. Don’t get me wrong—everyone who signs up for green power displaces other power that would have gone onto the grid, albeit in tiny amounts. But renewables penetration has a long way to go across the country, and local development lags. Just last week, our county supervisors voted down a small solar installation on otherwise idle land for fear of disturbing bird habitat. I could ask my gardener not to blow or rake at all, I suppose, and let the yard accumulate debris. But I can’t tell my neighbor that. Unless I want to become an energy puritan, an anti-fossil-fuel Calvinist. Every simple act is a moral conundrum in this, the end-stage of the energy era. Am I providing employment? Sure—but I can do that only because society is predicated on fossil fuel leverage. My ability to pay a gardener is a function of oil. I’m displacing my own labor with money I get from others who are displacing their labor, too, with the energy from fossil fuels. The gardener’s labor is also leveraged by his power tools. So is my neighbor’s tidiness jones. How much of this leverage can be displaced by renewables and how soon is a major challenge. Some, certainly. But there’s bound to be economic dislocation as the transition occurs. And without the energy density of oil, a lot of transportation is going to be very difficult and very expensive, if not impossible. I think we’re headed toward a lot more physical labor as a way of life, one way or another. If we don’t change voluntarily through high-level, organized effort, nature will enforce the transition. Once the summer ice cap disappears, and agriculture starts to break down, we’ll begin the inevitable spiral into James Howard Kunstler’s World Made by Hand. A lot of extra time and money is going to fall away as human labor shifts from all the superfluities that oil supports back to the business of day-to-day living. Food is a lynchpin of international trade. Think corn, wheat, and soybeans, made possible at scale only by oil and petrochemicals. With agriculture in collapse, food prices will take a far larger share of wealth. Leaf blowers may be a luxury too expensive to run. I’ll have to do my own yardwork, as will almost everyone but the cadre who sit atop the tech pyramid, tweaking the slider bars.